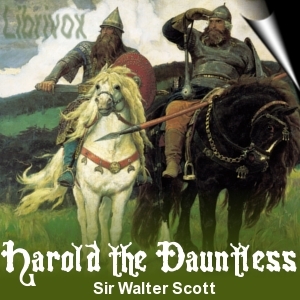 The poem recounts the exploits and the personal spiritual journey of a doubtful knight errant - Harold the son of Danish Count Witikind: who seeks to recover his lands and wed a suitable spouse. Fire-breathing Harold is as much a stranger to love as he is addicted to dangerous adventure: yet his own confrontations with the spirit-world shake his faith in supposed omnipotence of the traditional Norse pantheon. Can a blood-thirsty warrior like Harold ever feel the raptures of love? Can a man born to cherish gods of war really wish to exchange them for a God of peace?